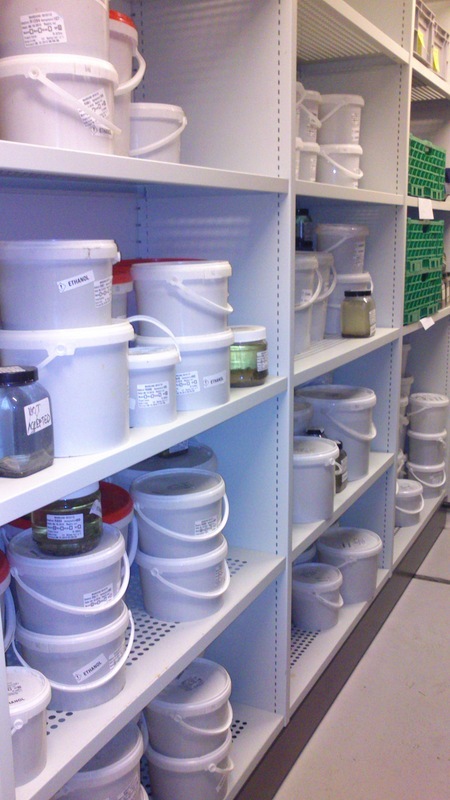 Last year we had a calendar post about the Heart of the Museum – our type collections. 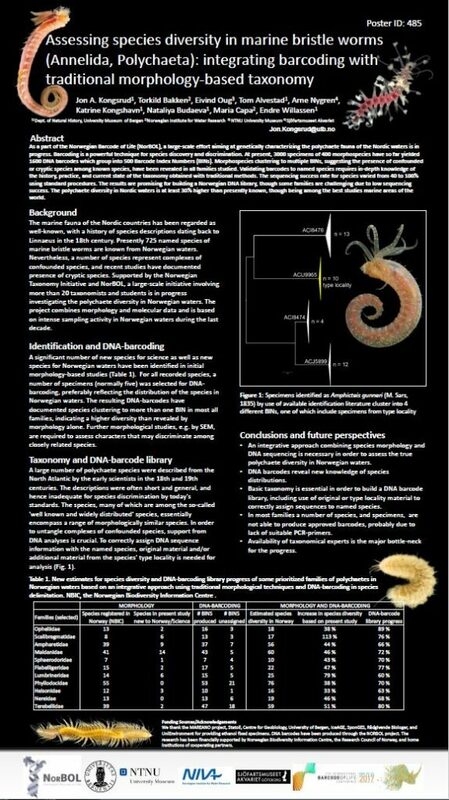 To recap, a species’ type is “…the objective standard of reference for the application of zoological names. 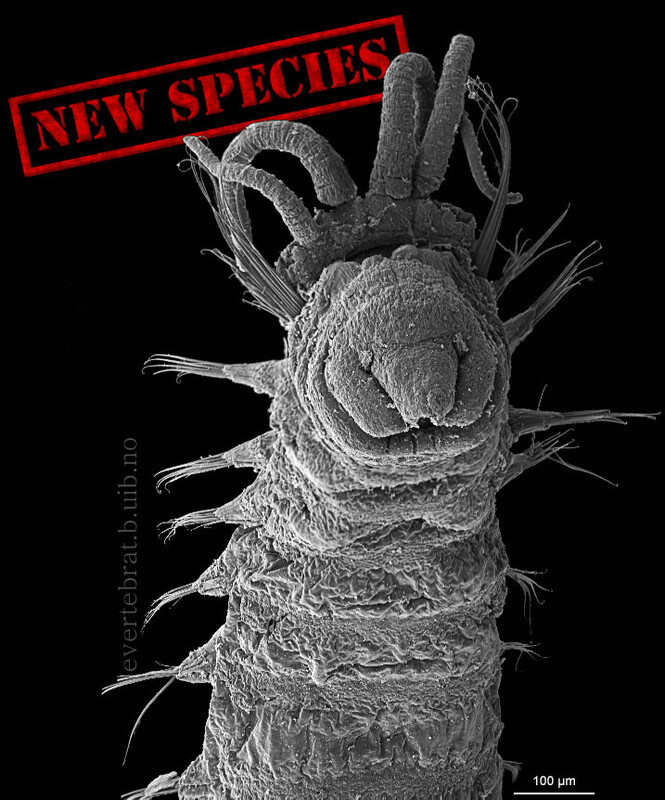 When a new species or subspecies is described, the specimen(s) on which the author based his/her description become the type(s) (Article 72.1). 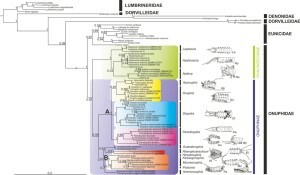 In this way names are linked to type specimens, which can be referred to later if there is doubt over the interpretation of that name. 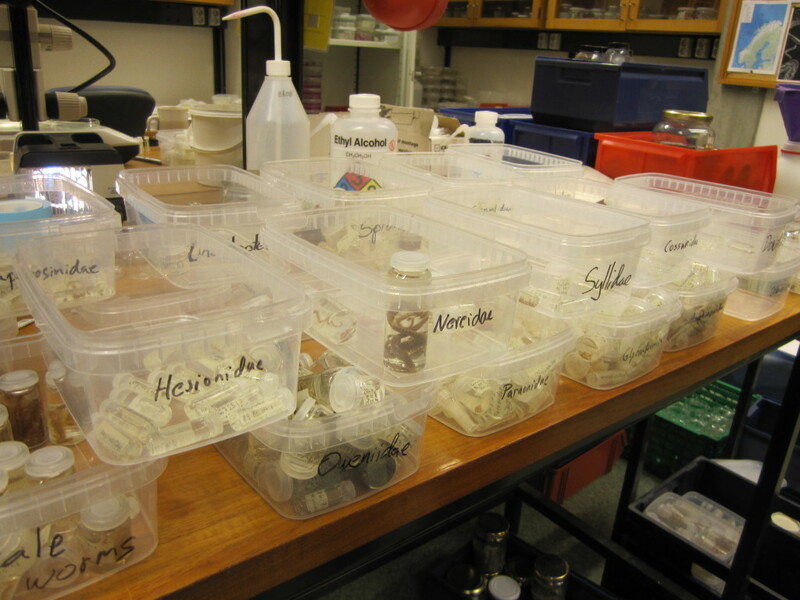 The location – sampling site – from which the type specimen is described is known as the type locality. 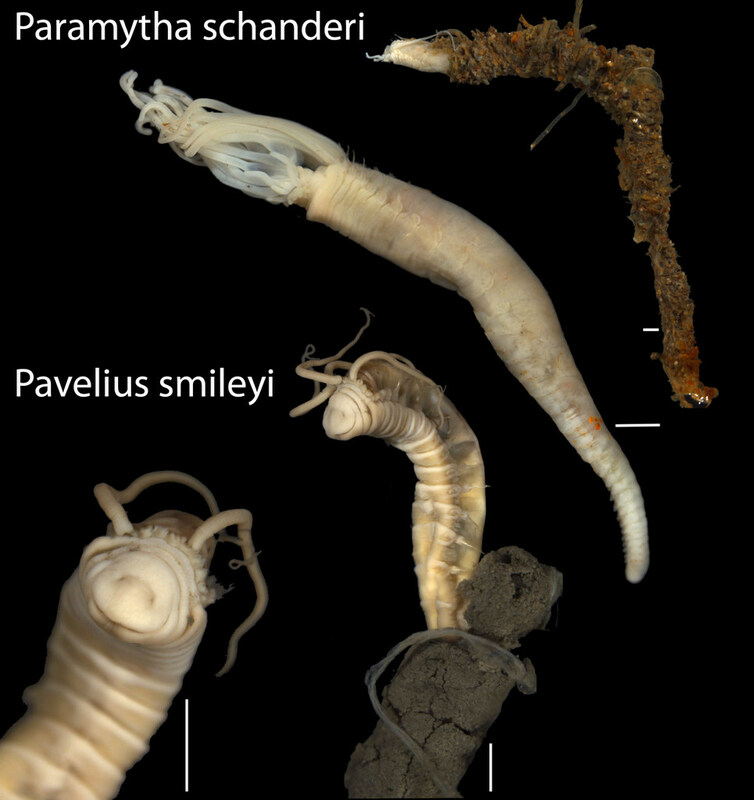 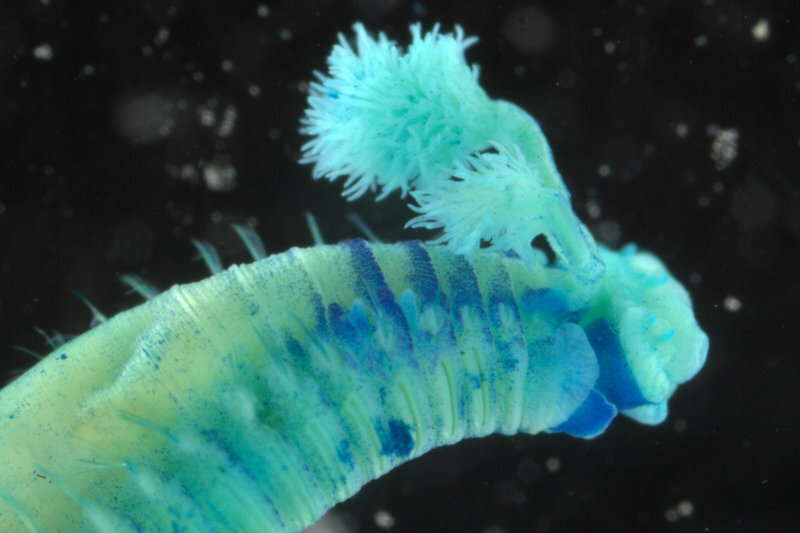 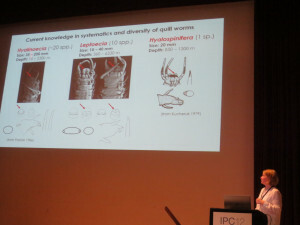 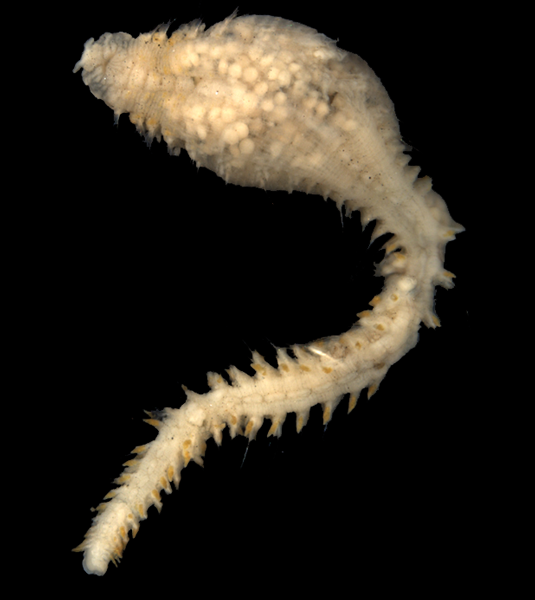 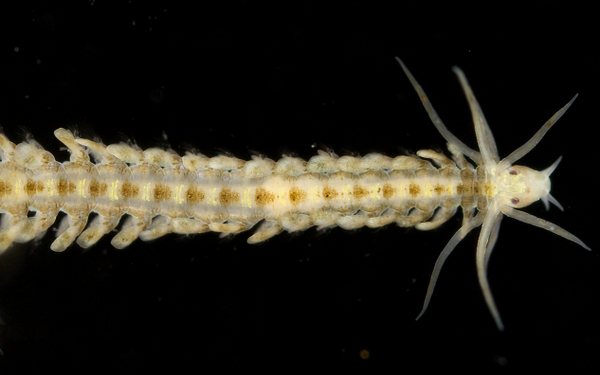 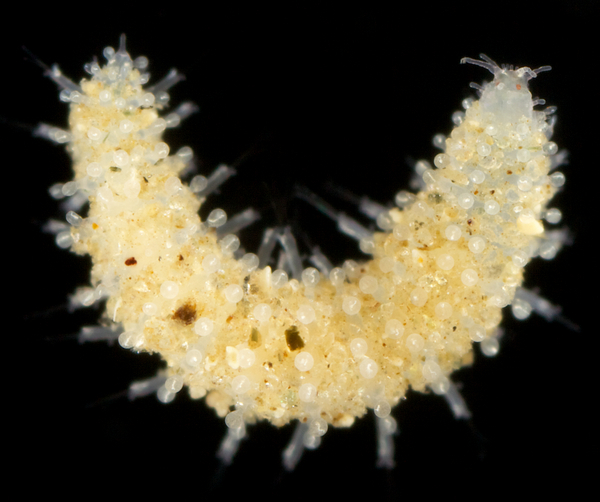 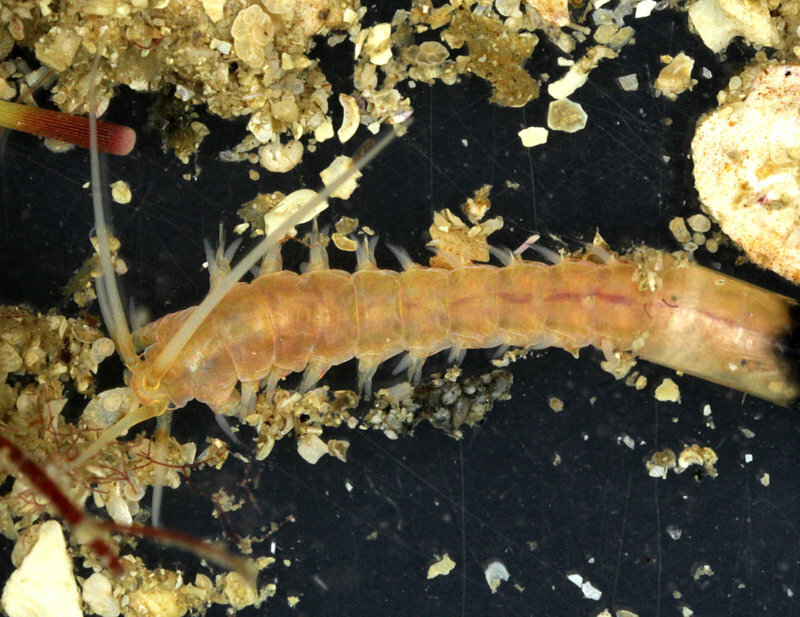 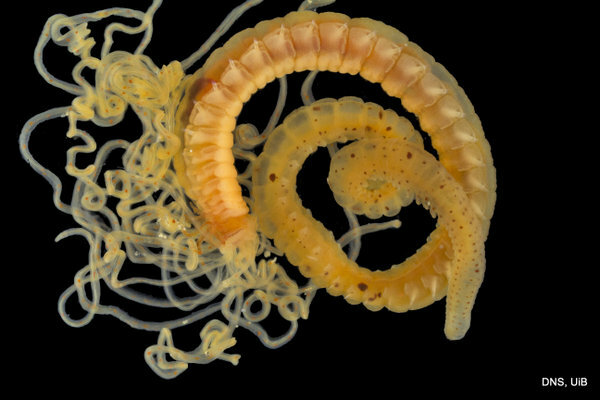 As you have probably noticed, polychaetes (bristle worms) are a focus group in our lab, and several species have type localities close by. 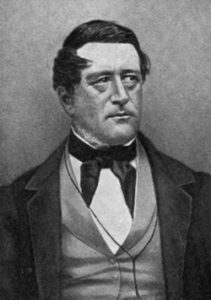 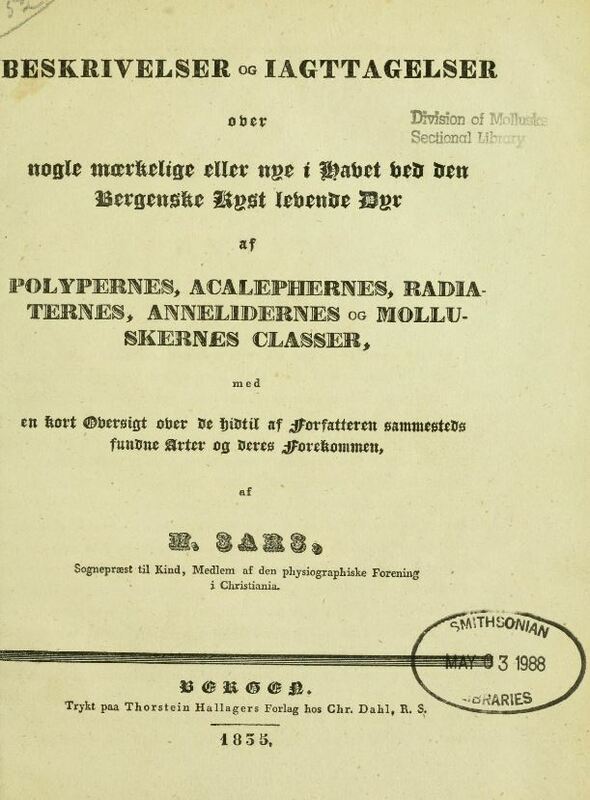 The biologist and theologian Michael Sars (1805-1869) lived in the Bergen region for many years. 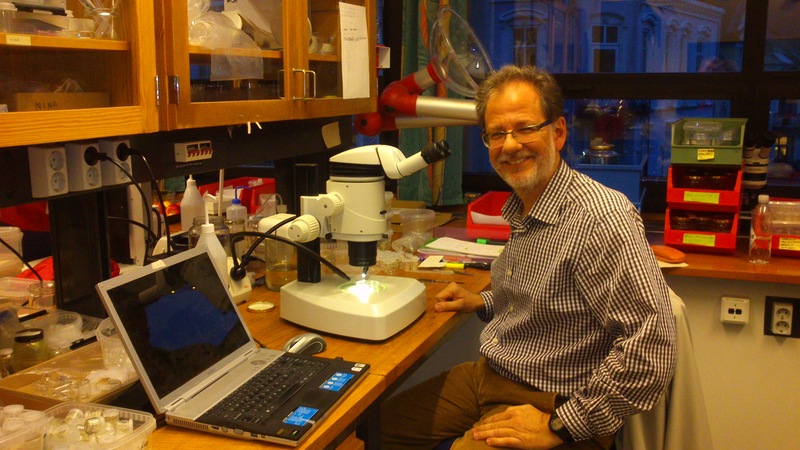 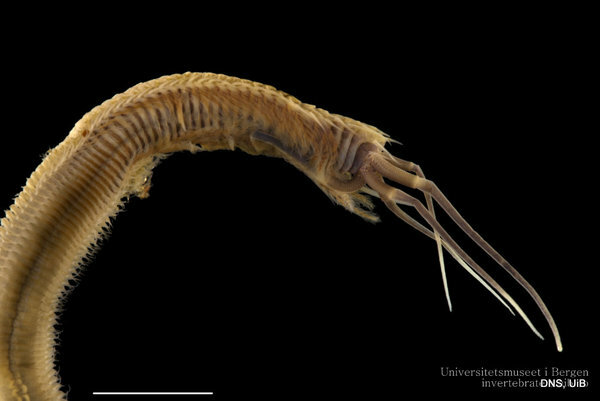 He was a prolific taxonomist, naming 277 species of marine taxa according to the World Register of Marine Species (WoRMS). 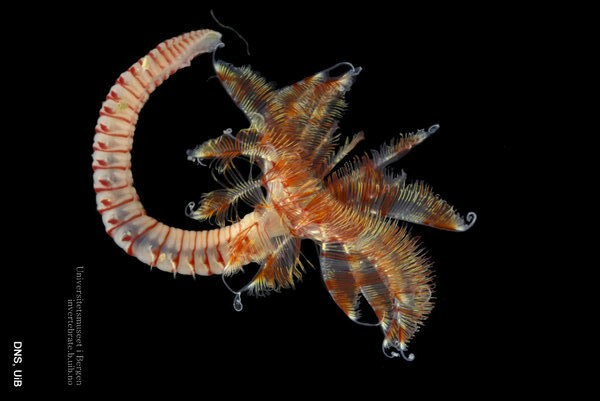 Consequently there are quite a few species that have their type locality within easy daytrip-distance by ship for us. 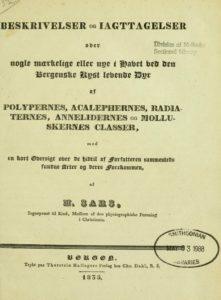 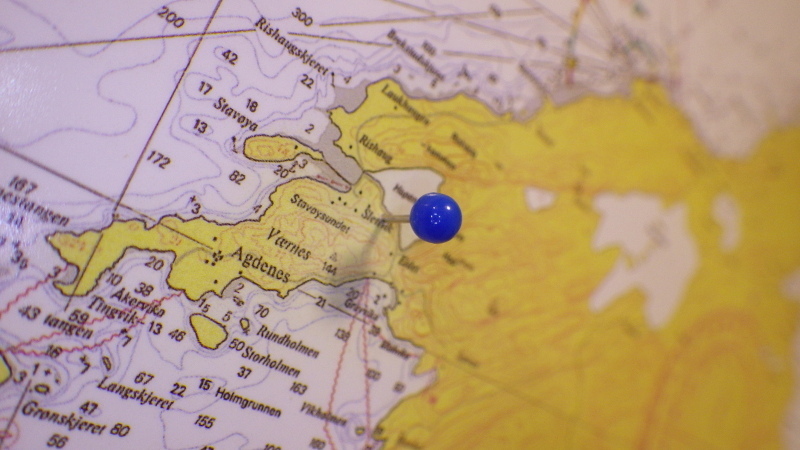 One such locality is Glesvær, where Michael Sars described several new species in his work of 1835: Beskrivelser og Iagttagelser over nogle mærkelige eller nye i Havet ved den Bergenske Kyst levende Dyr af Polypernes, Acalephernes, Radiaternes, Annelidernes og Molluskernes Classer* (“Descriptions and Observations of some strange or new animals found off the coast of Bergen, belonging to the Classes …”). 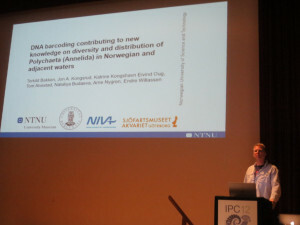 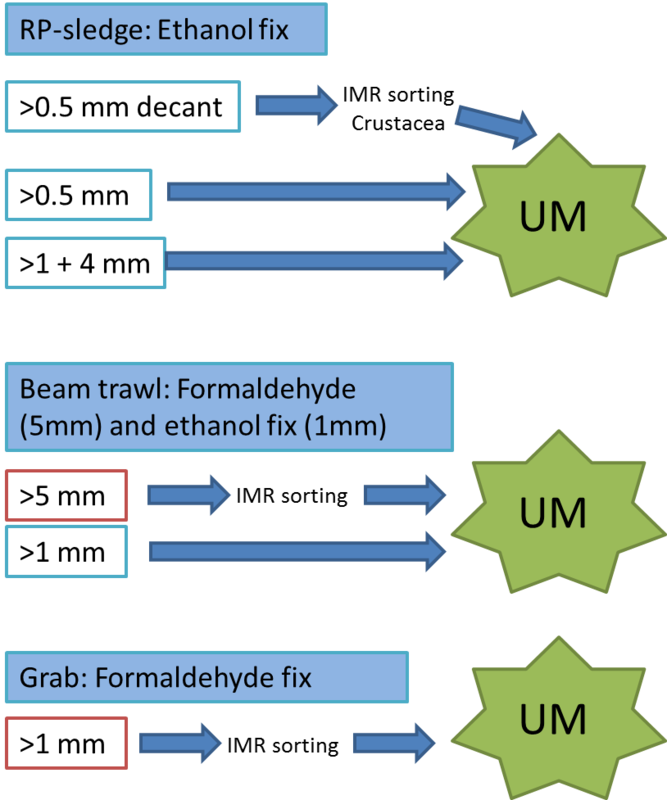 We have previously submitted several specimens of Amphicteis gunneri for DNA-barcoding through the NorBOL-project – and found that specimens that according to the keys in the literature should all come out nicely as A. gunneri in fact end up in several barcode-based groupings (BINs), meaning that they genetically different from each other. Then we need to unravel which one is the true A. gunneri, and decide what to do with the others. 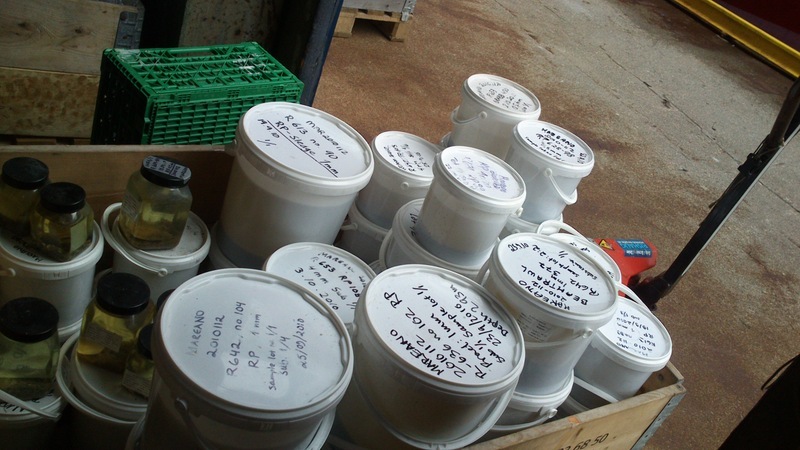 In such cases, material from type localities is invaluable. 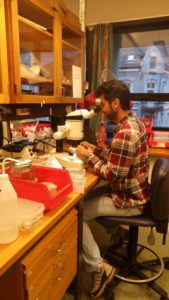 By sending in specimens identified by resident taxonomists as A. gunneri from the type locality, we hope to figure out which BIN represent A. gunneri, and which represent potentially new species. 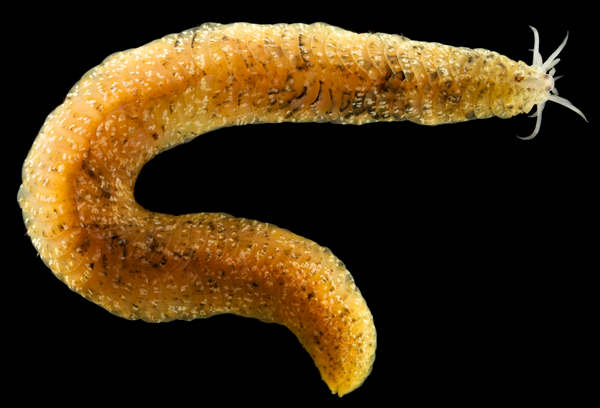 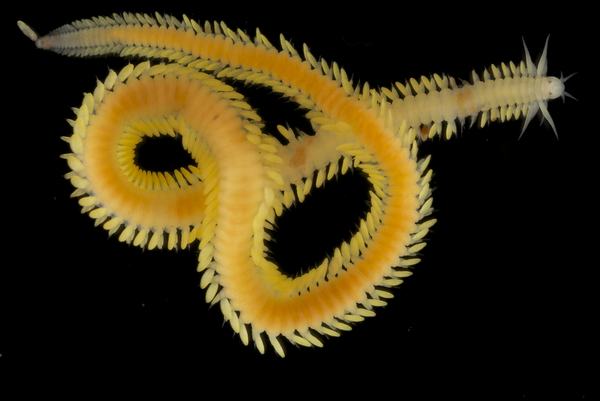 We were also able to photograph live specimens showing the nice coloration of this worm. 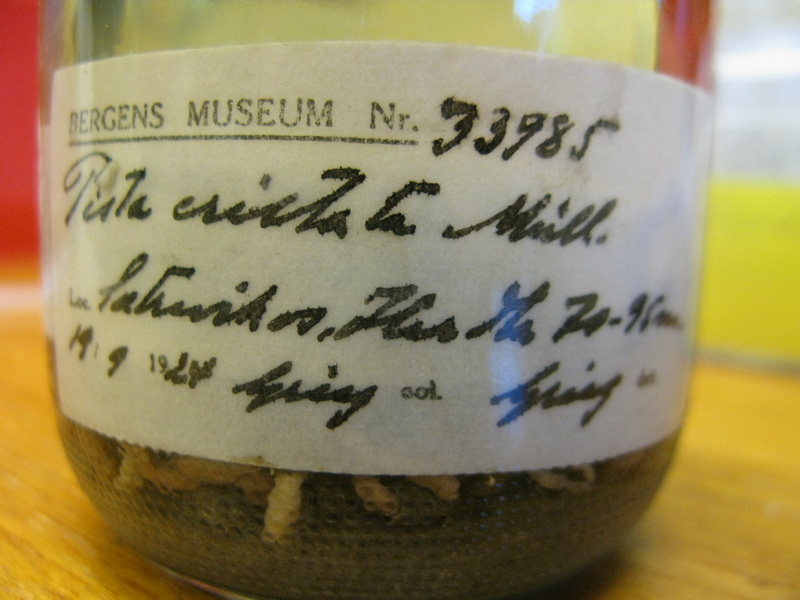 Fixed specimens lose this colour and become uniformly yellow/white (no dots). 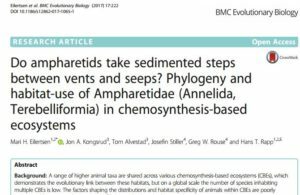 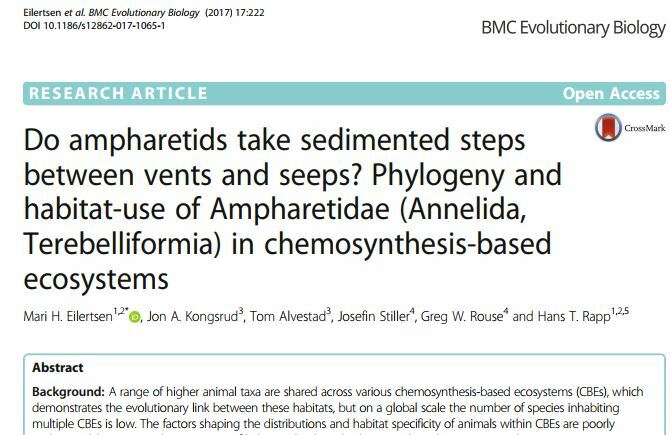 *Thanks to the excellent Biodiversity Heritage Library, this publication can be found in full text online, accessible for everyone – go here to see it. 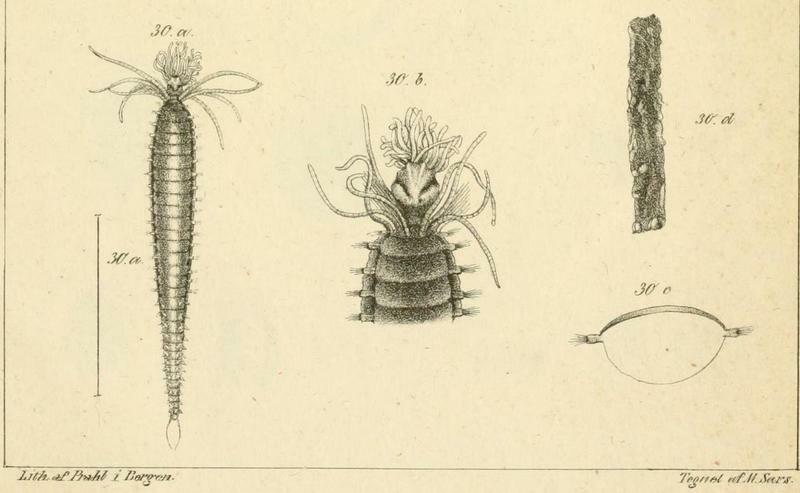 The Flickr stream of BHL is also an excellent source of amazing illustrations, you can find that here. 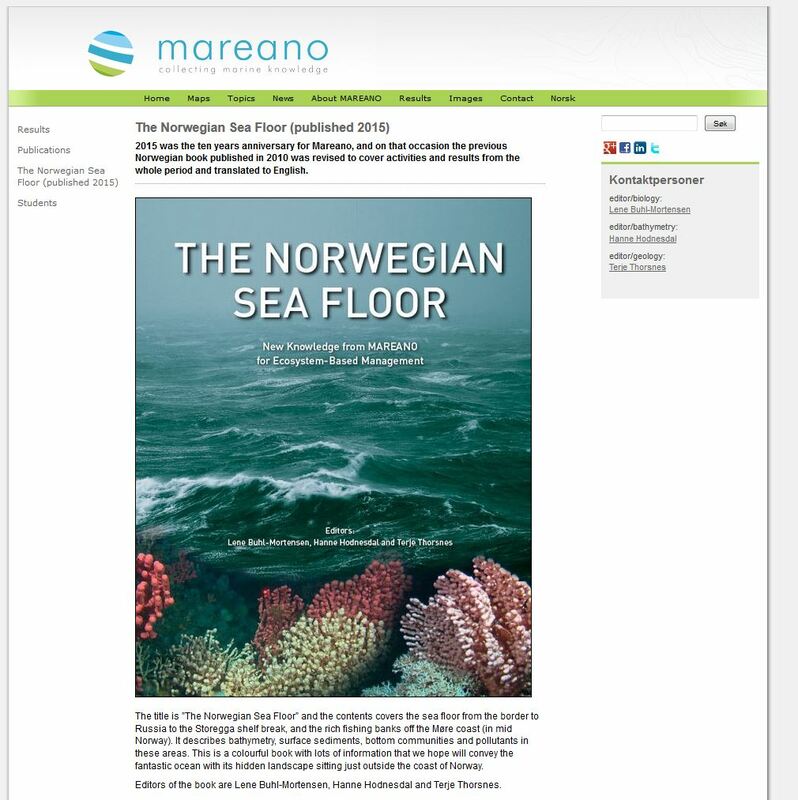 This entry was posted in 2016 december calendar, Current projects, Field work, NorBOL, Photography, PolyNor on December 18, 2016 by katrine. 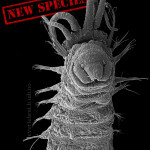 Todays calendar critter is a Trypanosyllis sp. 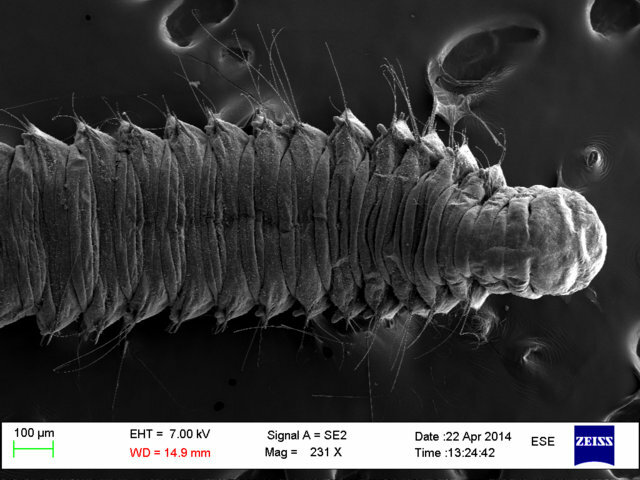 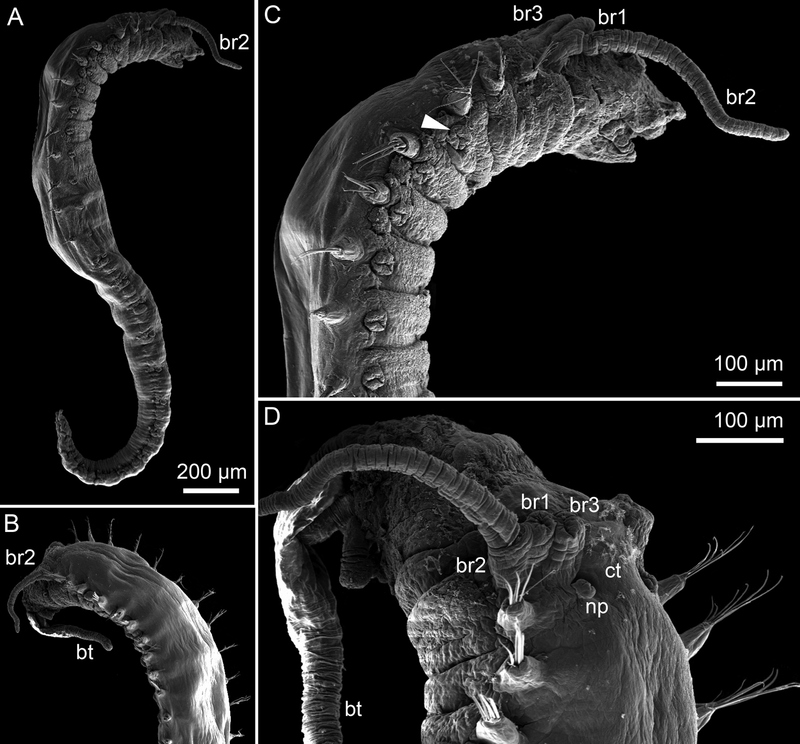 – a undescribed species from the genera Trypanosyllis in the family Syllidae. 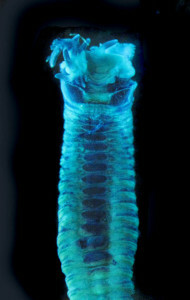 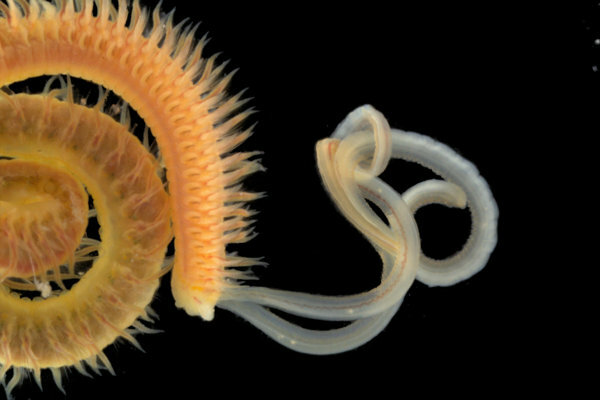 It most closely resembles a species described from the Mediterranean Sea. 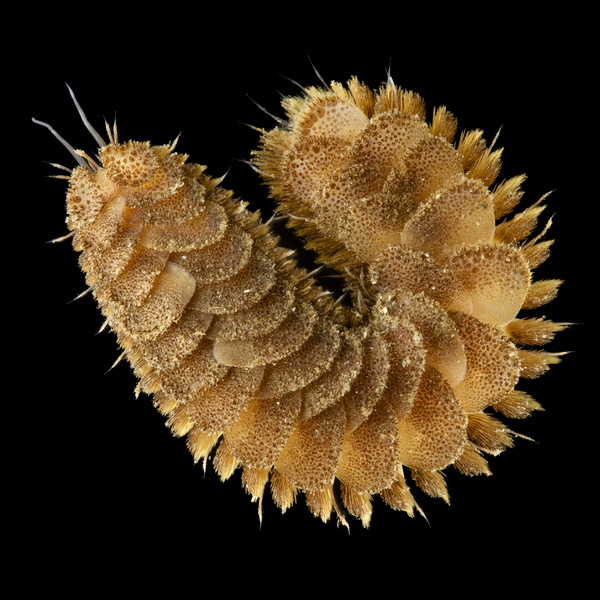 The Norwegian species is common in coral rubble, and has been assumed to be the same species as the one described from the Mediterranean. 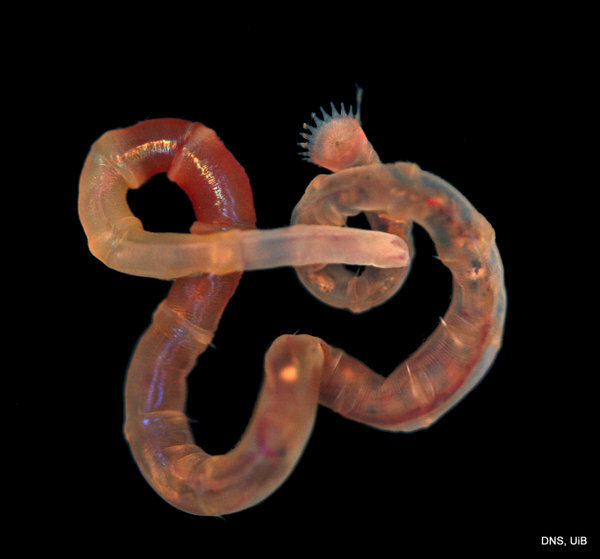 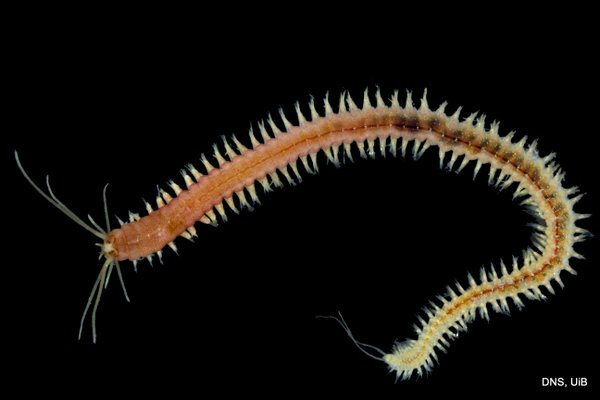 Genetic work reveals that these two are in fact separate species, and thus the Norwegian one is a new species awaiting formal description and naming. 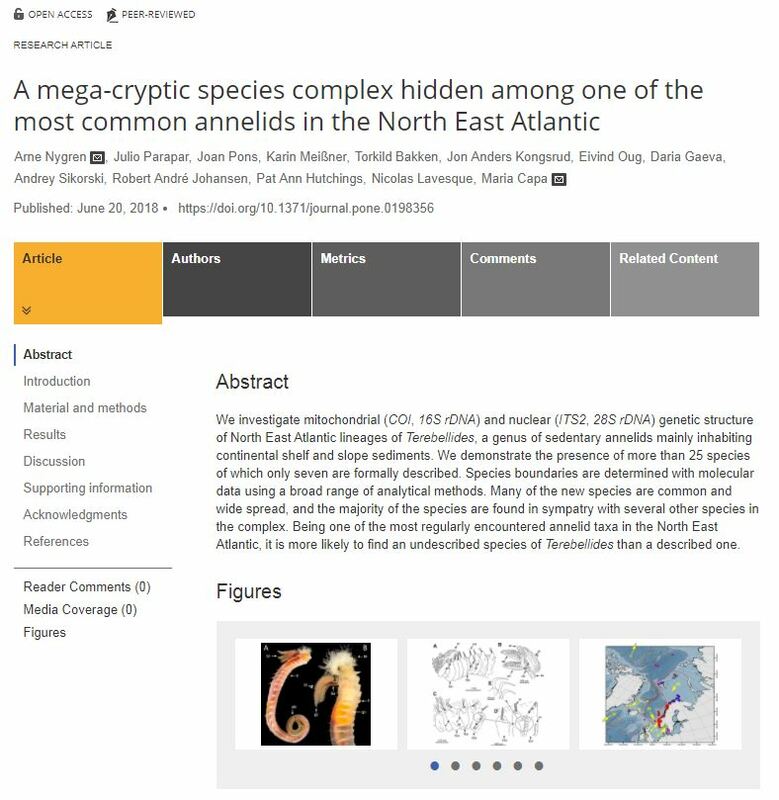 (If you read Norwegian, you can learn more about how species are described and named here: Slik gir vi navn til nye arter). 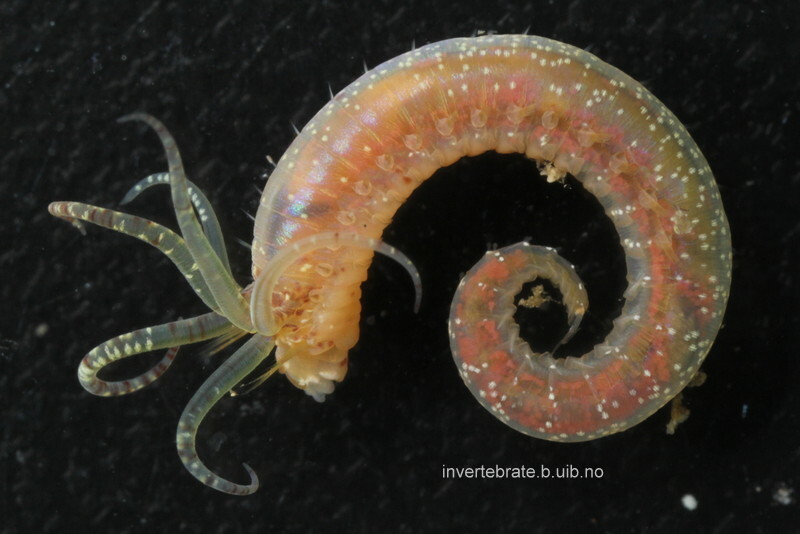 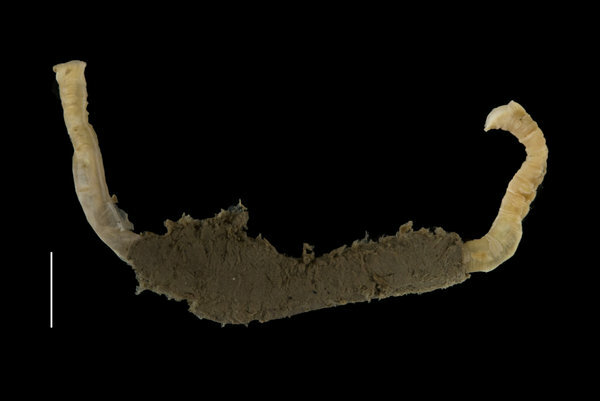 This specimen was collected, identified and photographed by Arne Nygren during our field work in Sletvik as part of his work on cryptic polychate species in Norway. 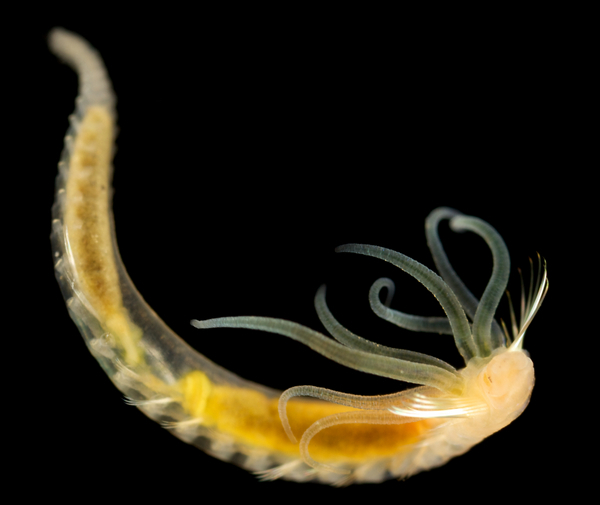 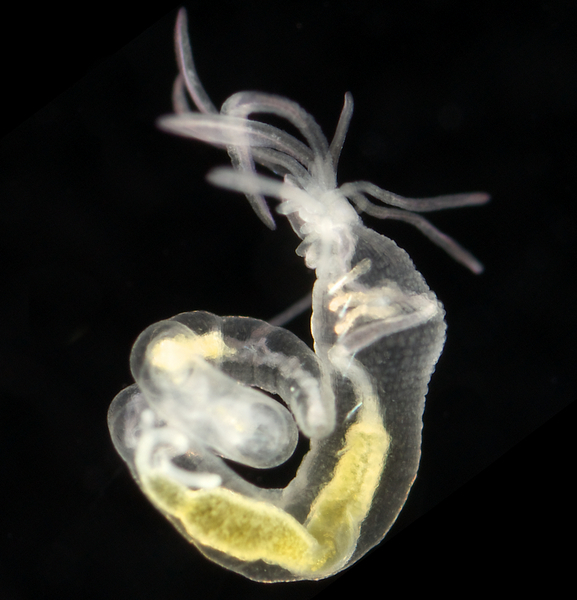 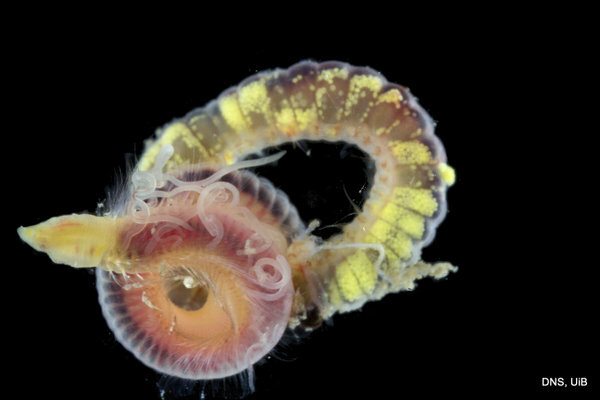 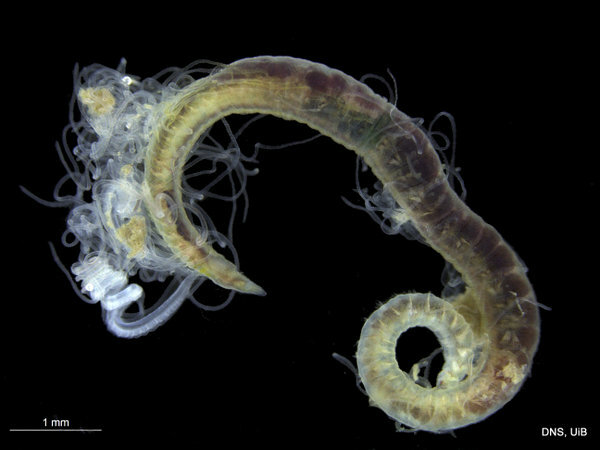 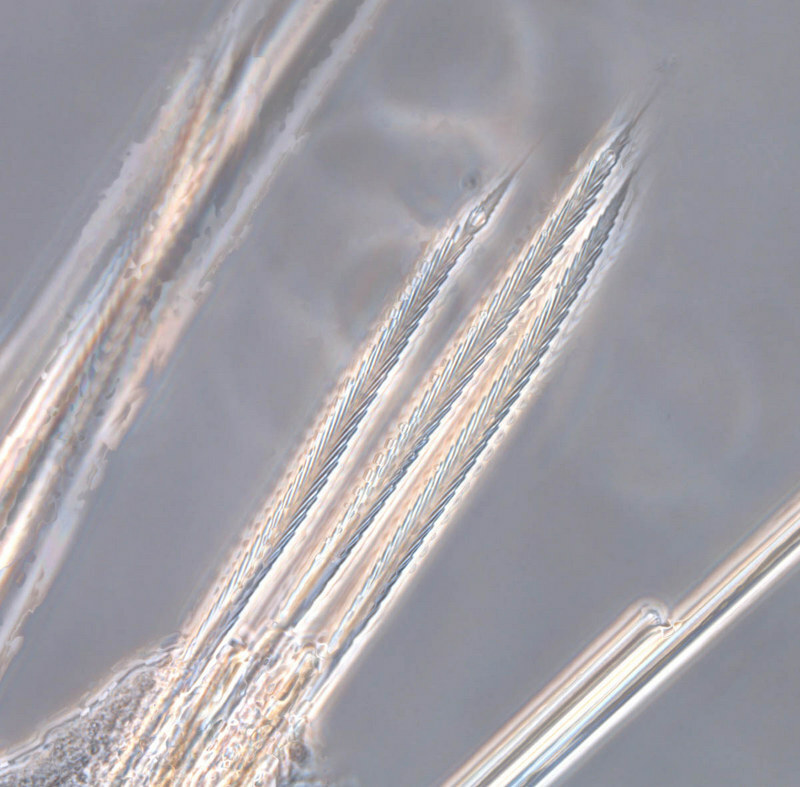 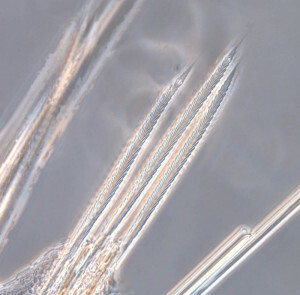 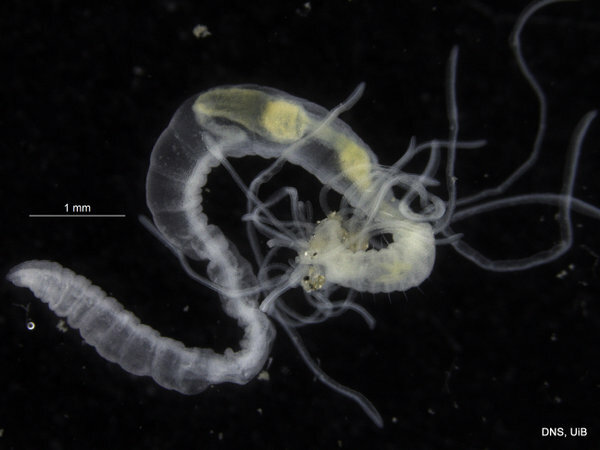 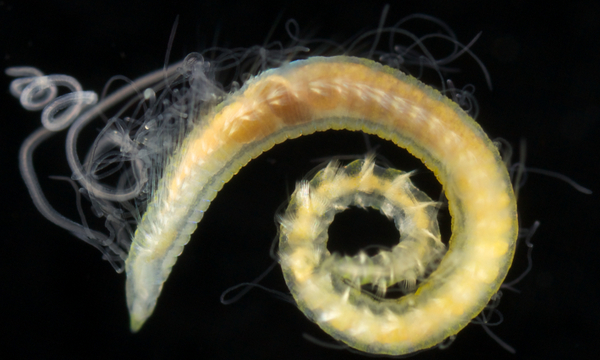 Syllids have opted for a rather fascinating way of ensuring high fertilization rates; something called epitoky: they asexually produce a special individual – the epitokous individual – from their bodies, and release this to go swimming in search of a mate. 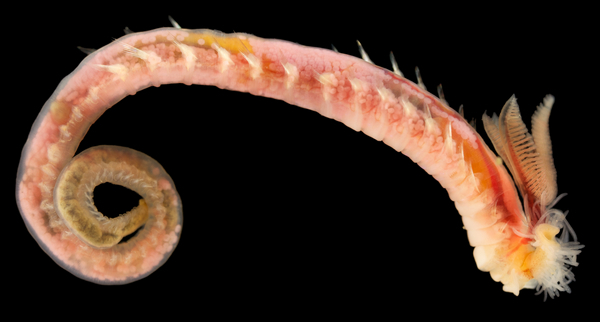 In the photo you can see that the female reproductive body (epitoke) is filled with orange eggs and has its own set of eyes, close to the middle of the animal. 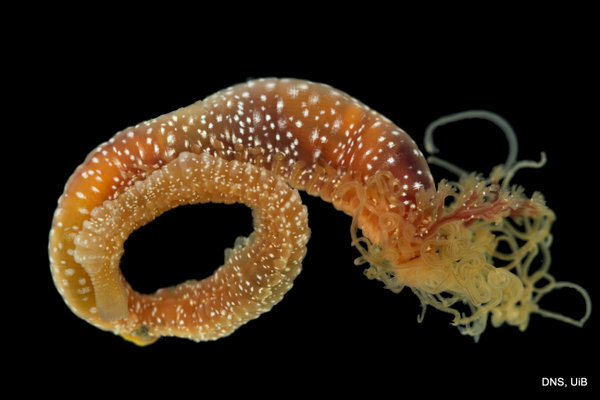 This section will break away from the mother animal and swim away in search of a male reproductive body to reproduce with. 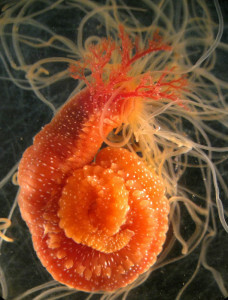 The mother animal will then grow a new female reproductive body. 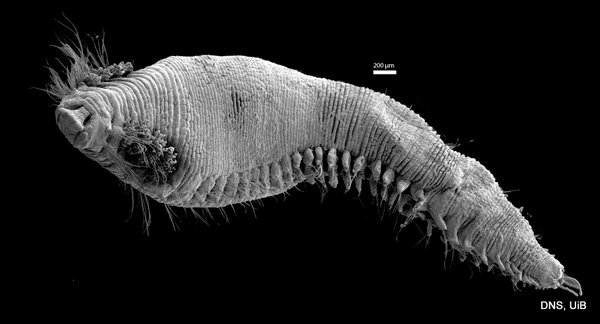 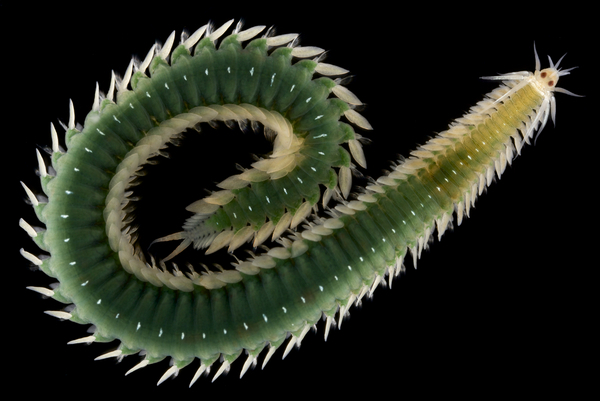 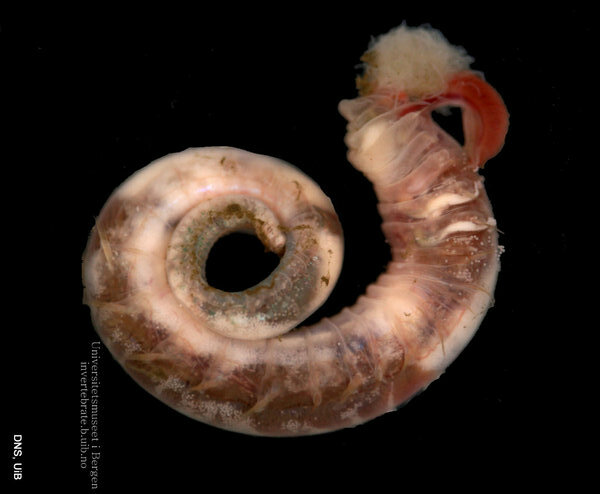 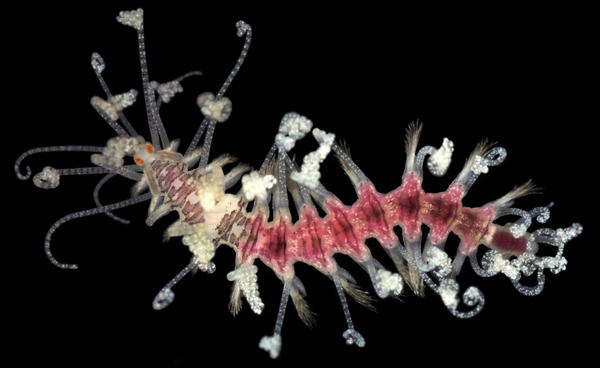 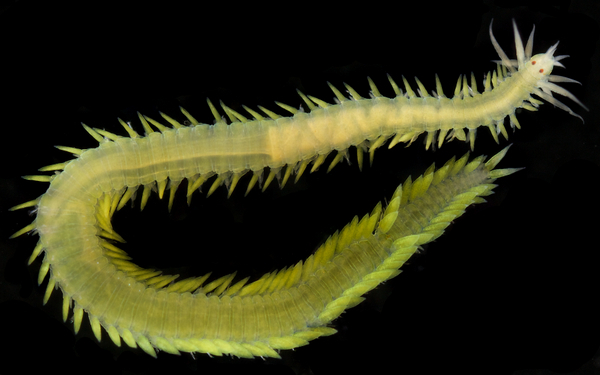 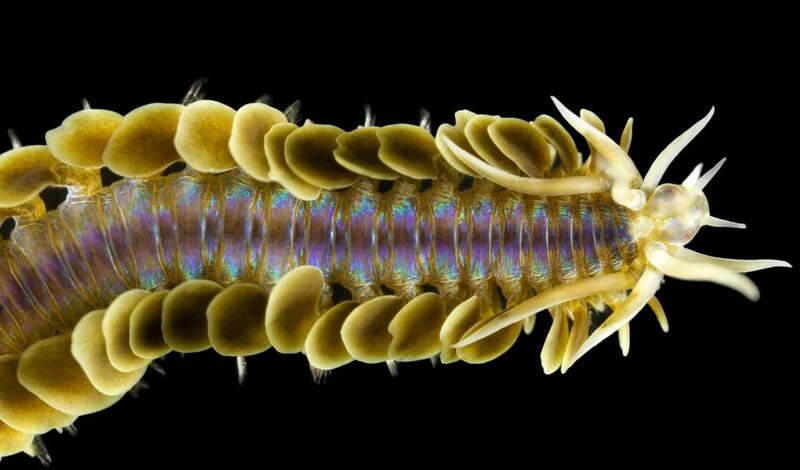 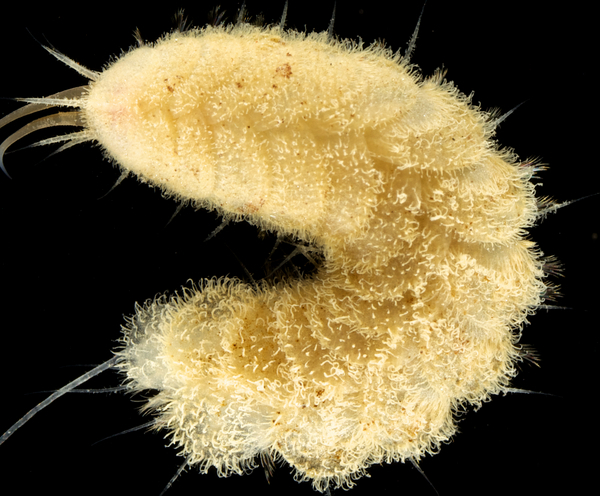 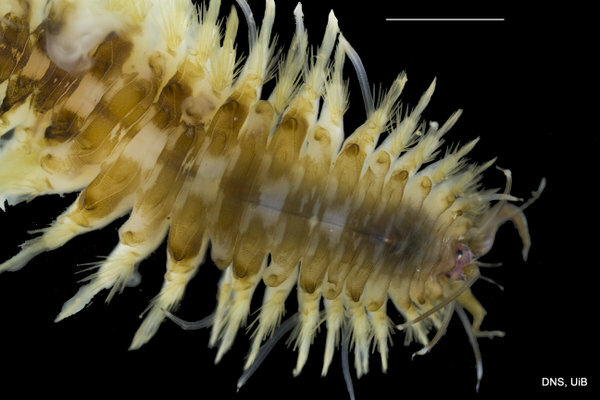 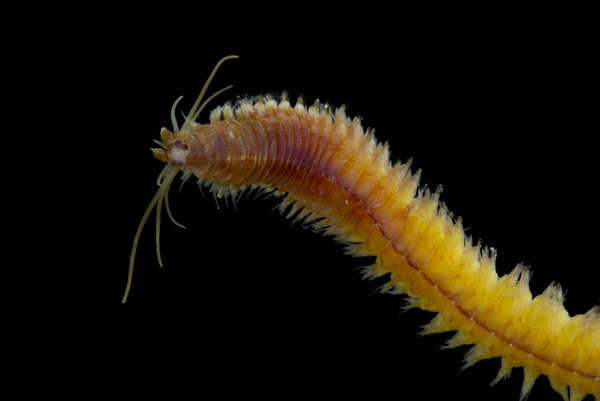 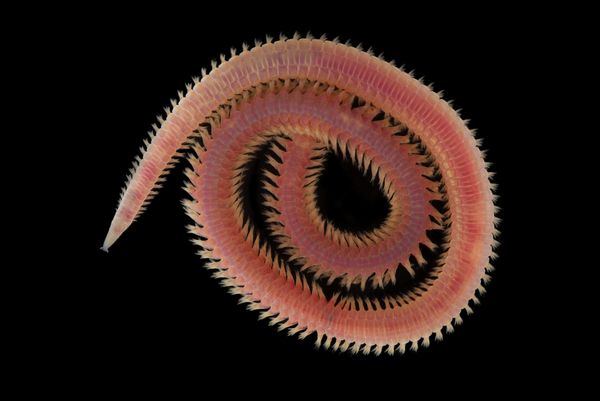 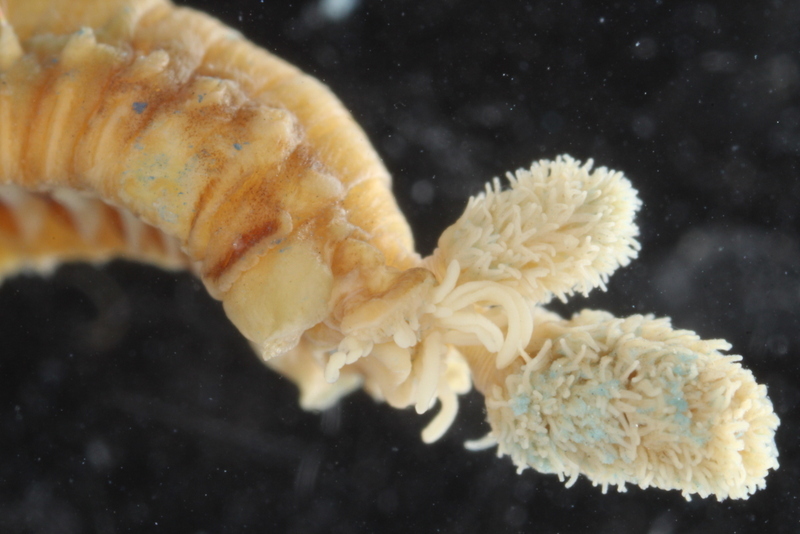 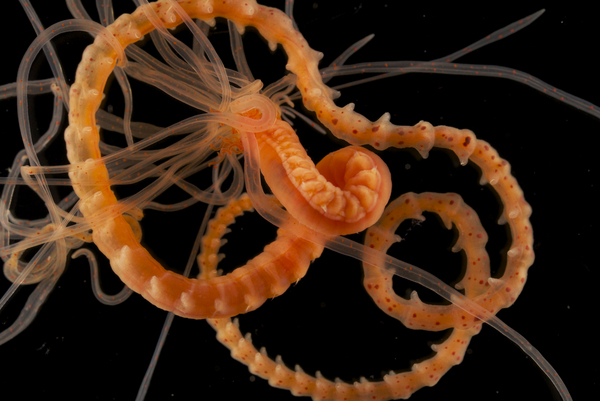 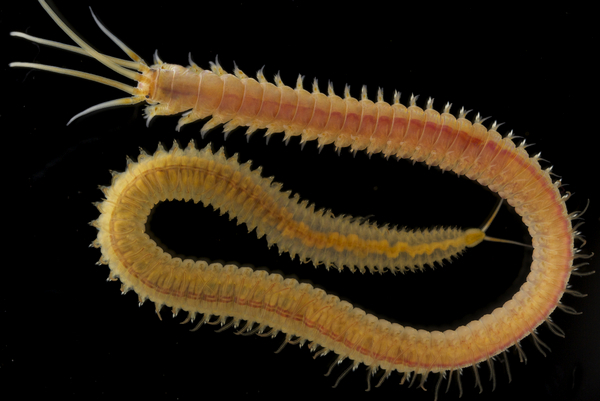 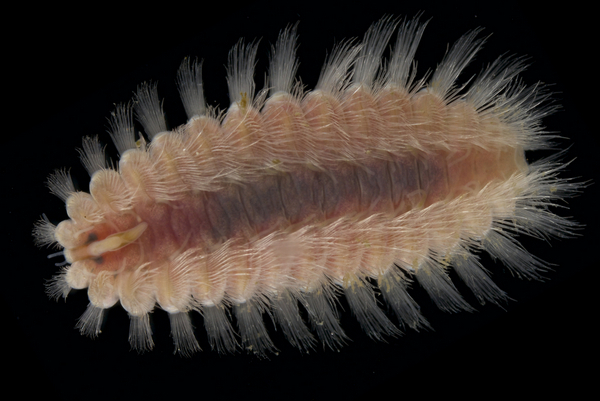 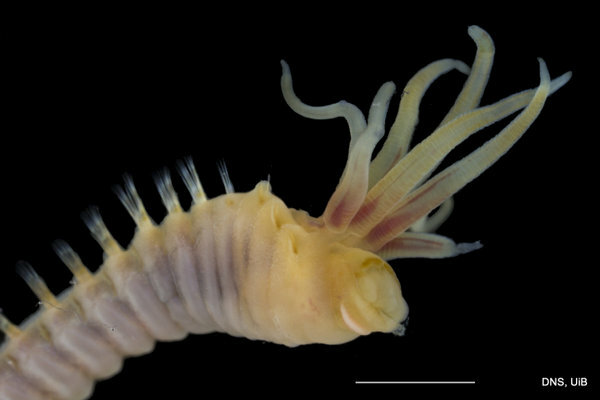 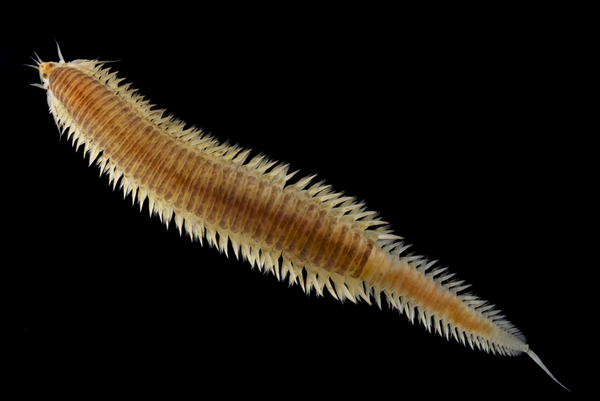 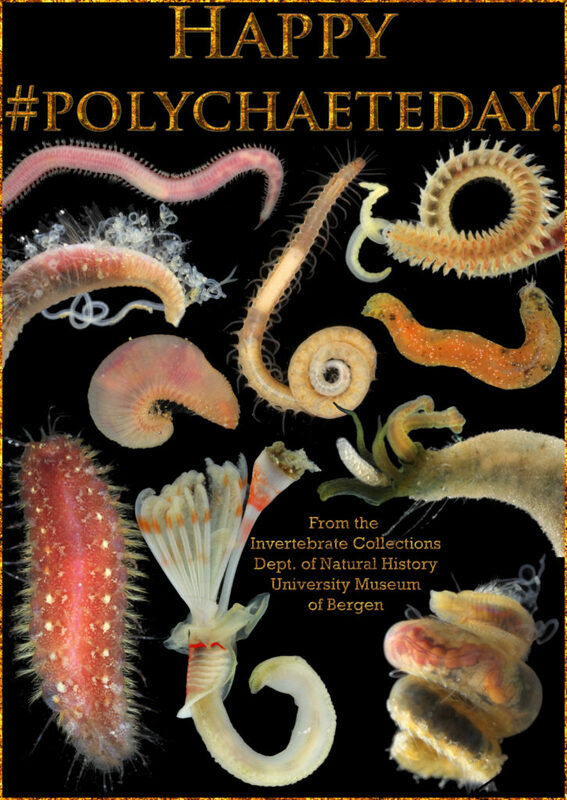 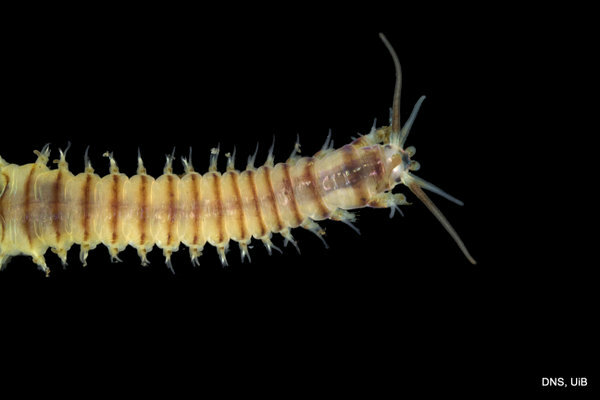 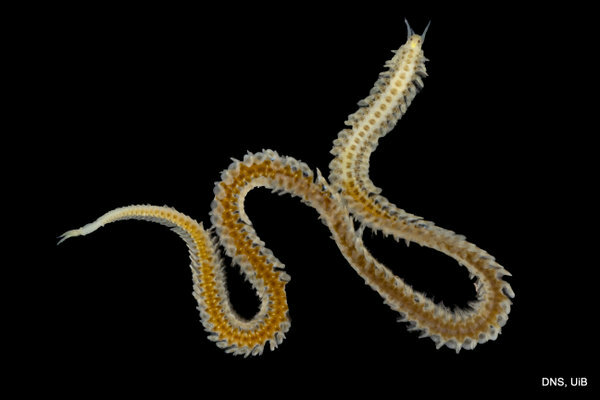 This entry was posted in 2016 december calendar, Current projects, Field work, NorBOL, Photography, PolyNor and tagged Arne Nygren, artsprosjekt, børstemark, epitoke, new species, ny art, polychaete, syllidae, taxonomy on December 6, 2016 by katrine. 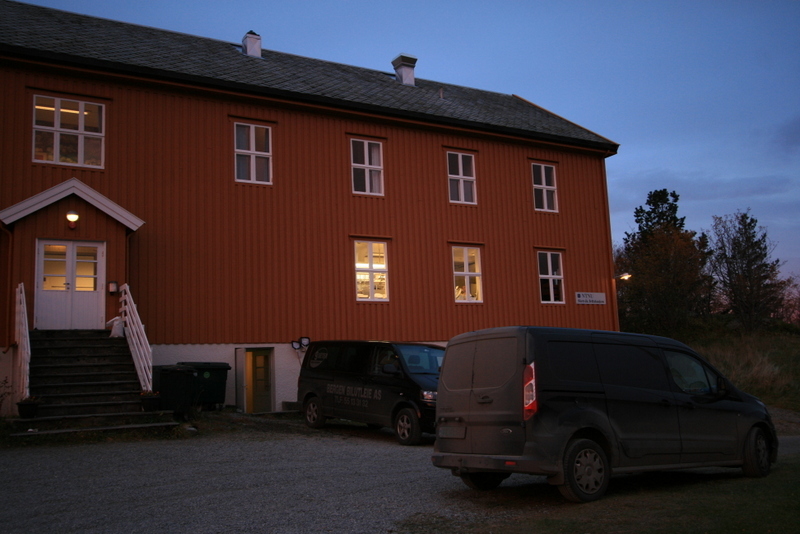 For October – November visit. 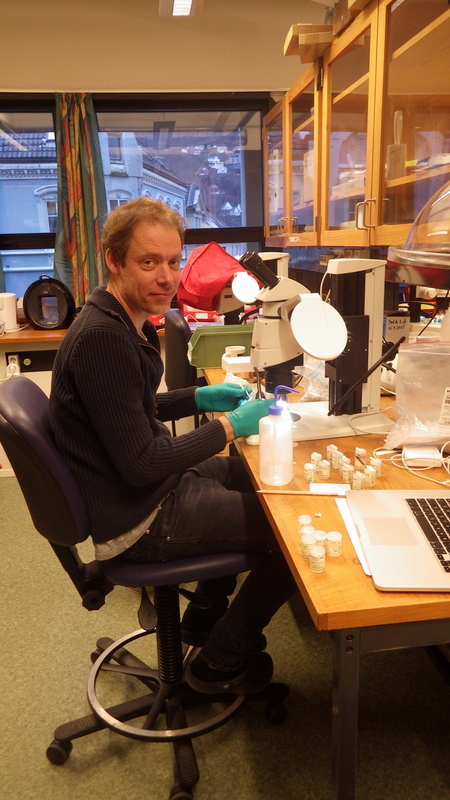 For my third time in the Museum, I have found, as always, very good company from my colleagues in the lab: Katrine, Nataliya, Jon and Tom. 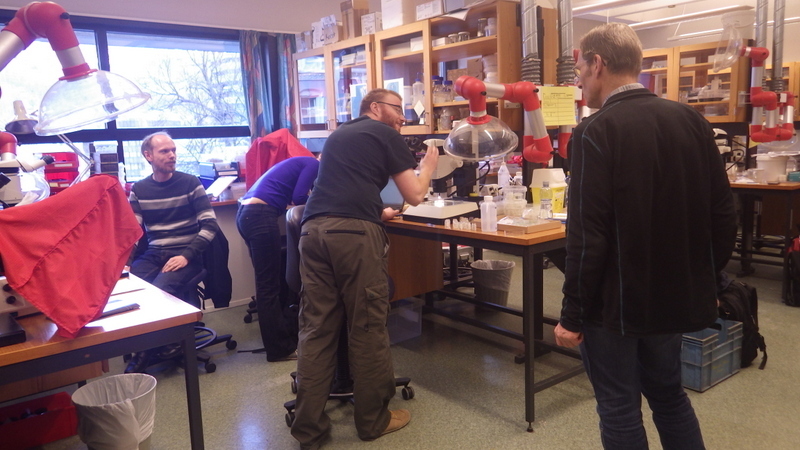 Deep morphology and molecular method discussions over very good coffee were the “breaks” between periods of hard work at the microscope. 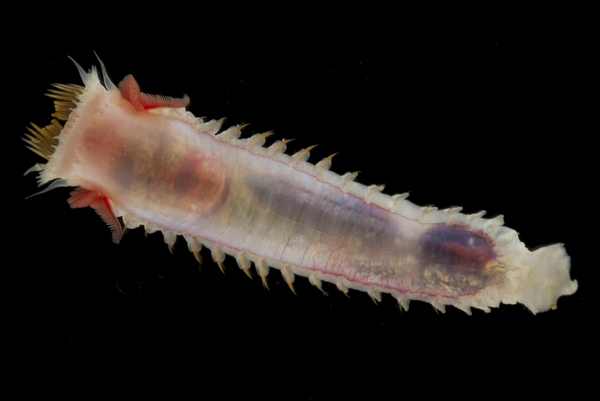 This time, I take to my home two papers close to completion; one about species of the genus Pista (Terebellidae) with additional information to what I found during my last visit in January. 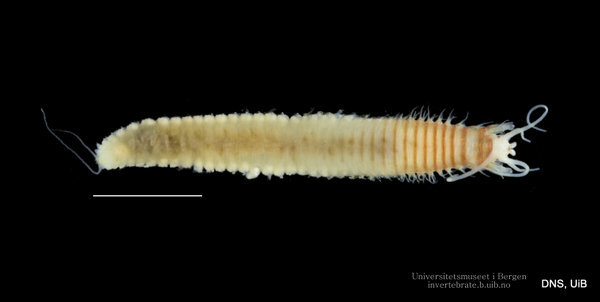 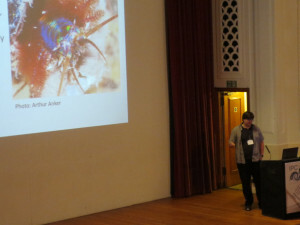 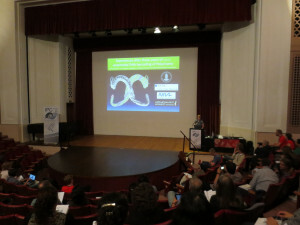 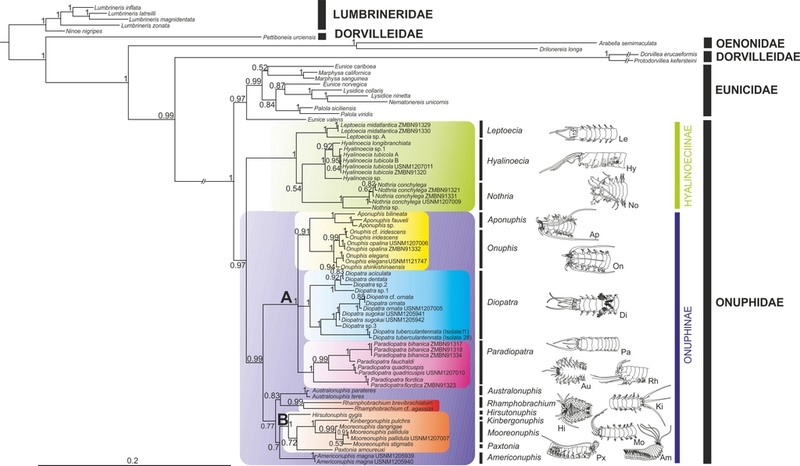 The second paper is about species in the subfamily Polycirrinae (Terebellide) from the West coast of Africa. 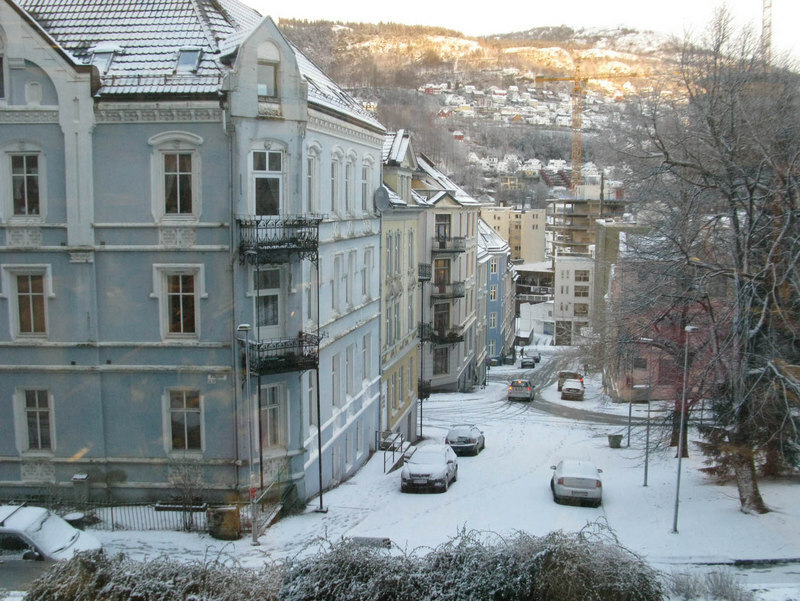 The visit – which was without snow and with only a few showers of rain in Bergen (! 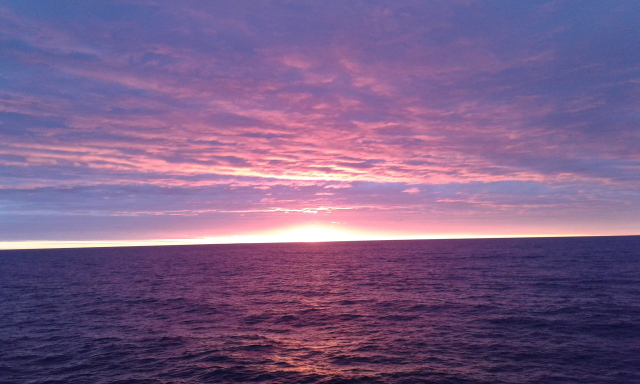 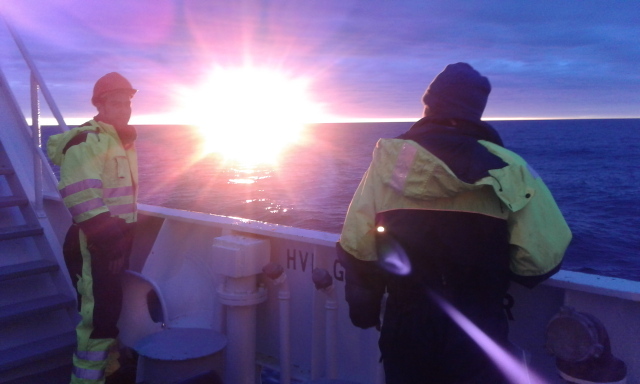 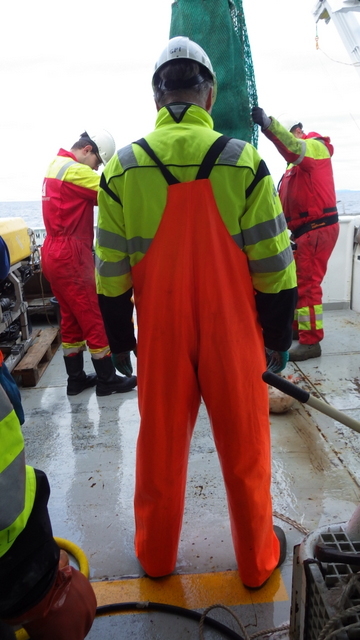 ), though with some very cold and windy moments at the Marine Station of the University of Trondheim – and sharing time with recognized polychaetologist as Fred Pleijel, Torkild Bakken, Eivind Oug, and Arne Nygren, was as spectacular as to know the Aurora Borealis. 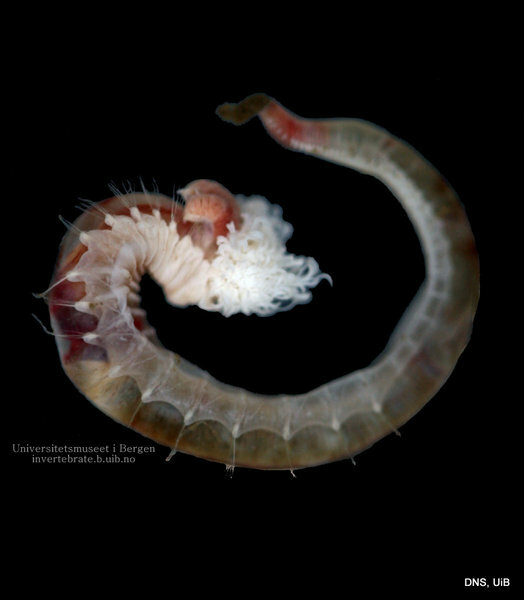 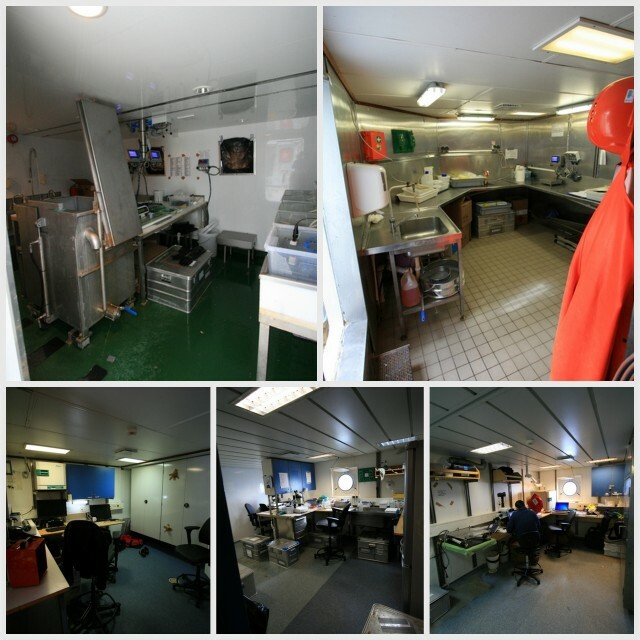 This entry was posted in 2016 december calendar, Current projects, Field work, Marine Biodiversity of West Africa, Photography, PolyNor on December 5, 2016 by katrine. 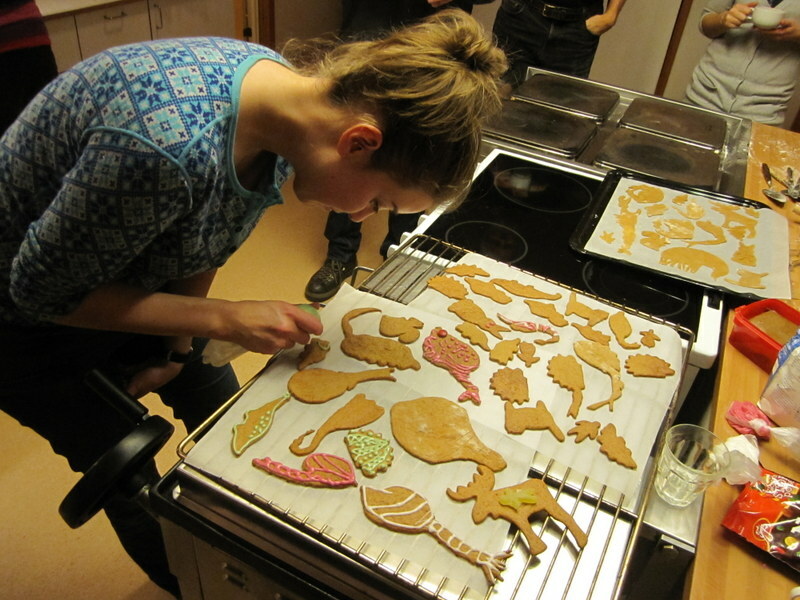 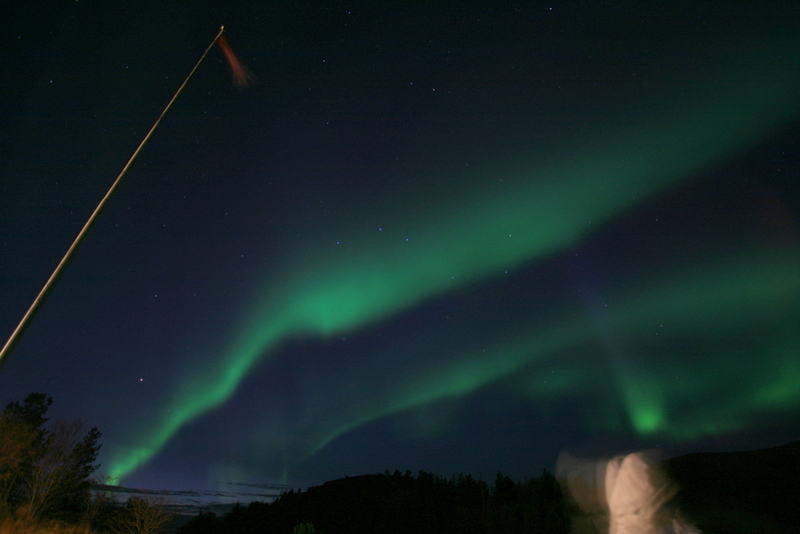 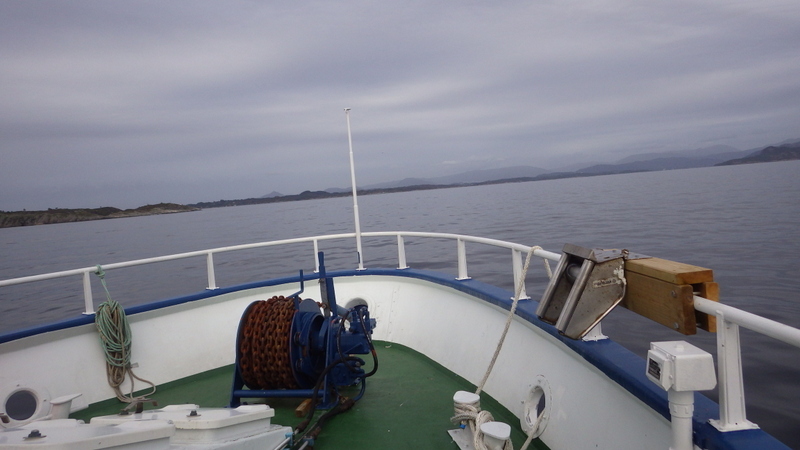 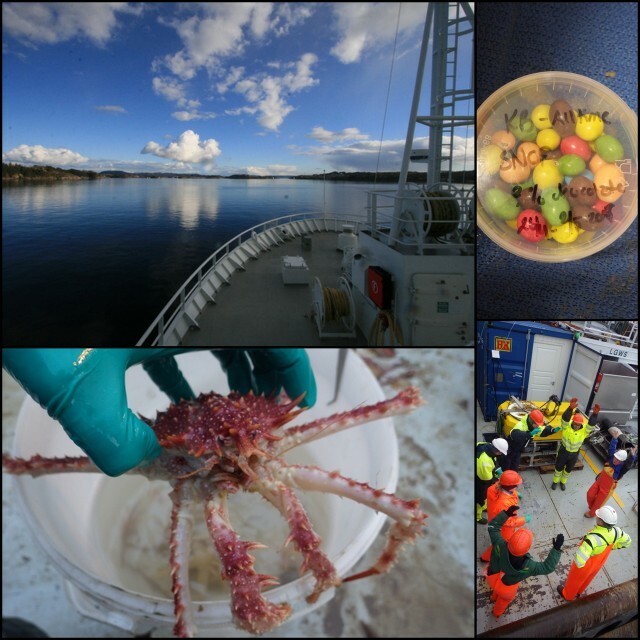 We spent a lovely week in October collecting animals at the field station of NTNU in Agdenes in central Norway. 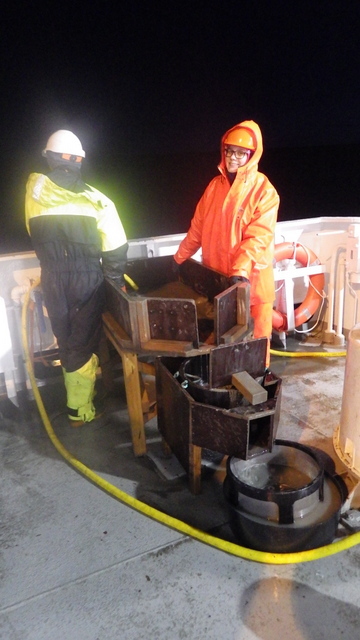 About 15 researchers and collection curators were gathered for a week of sampling with gear ranging from grabs and trawls deployed from the research vessel Gunnerus to buckets and shovels on the beach. 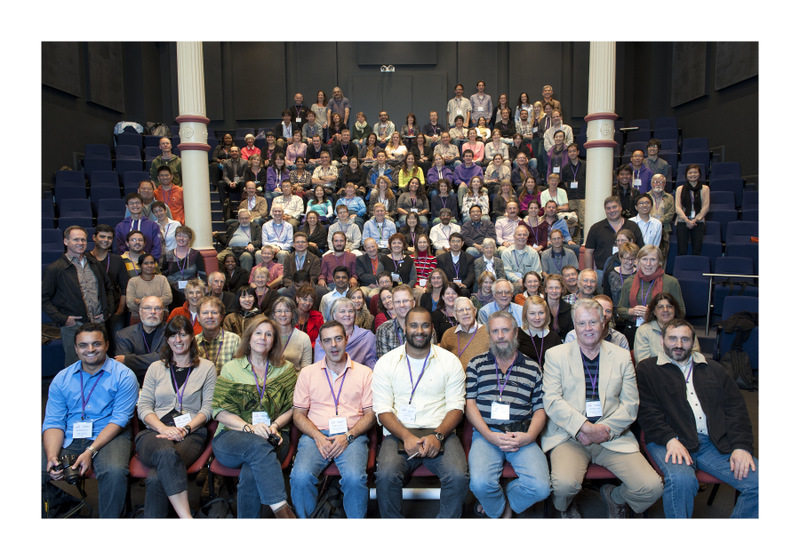 As you may be able to tell, a good time was had by all! We collected ultra-fresh material for barcoding through the norwegian Barcode of Live project (NorBOL) – several plates were initiated during the week and then brought back to Bergen where we will continue filling them with material from our collections – each plate needs to be filled with 95 samples that can be run with the same primer, so we need to select our material carefully. 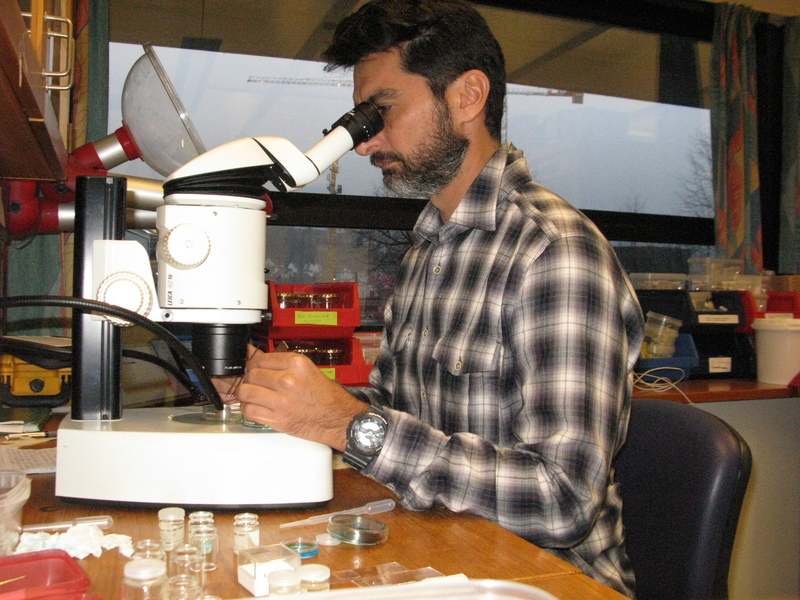 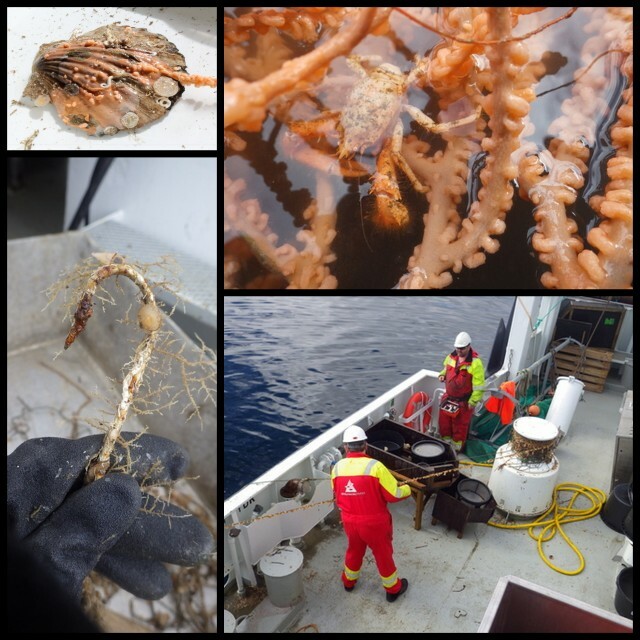 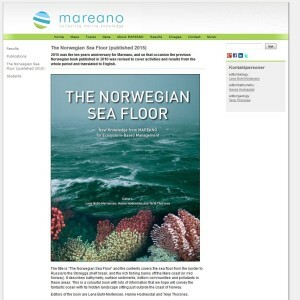 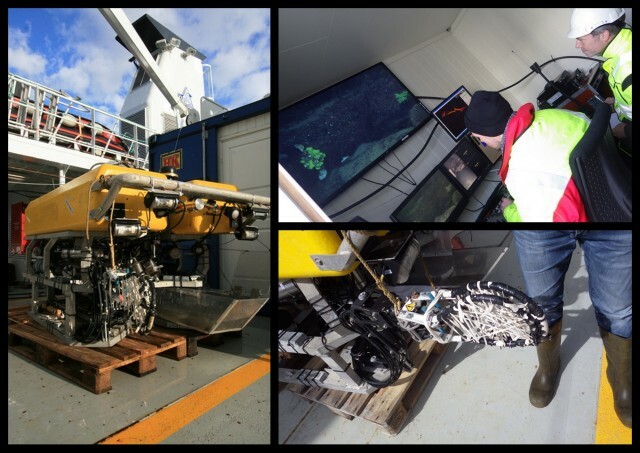 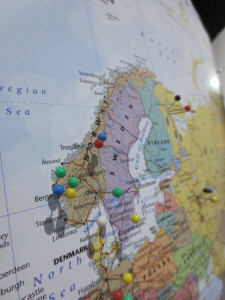 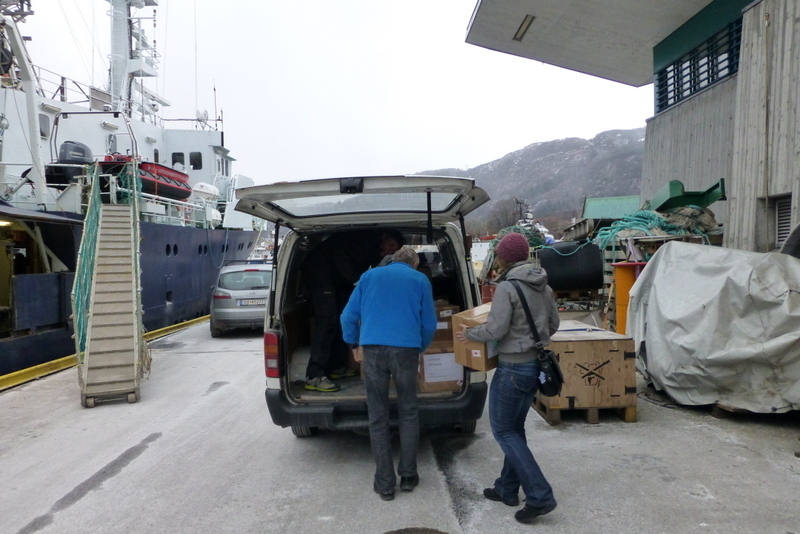 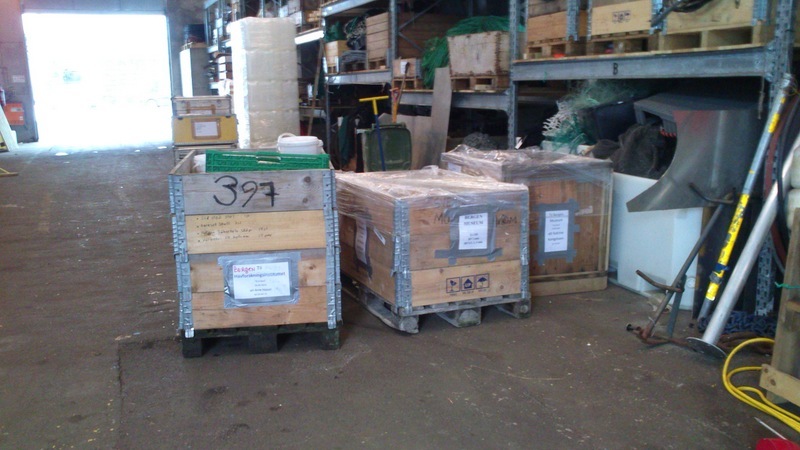 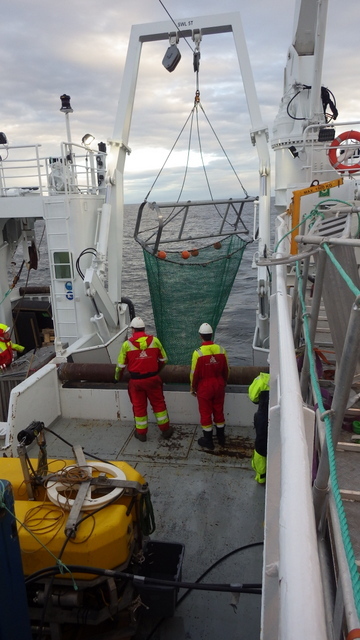 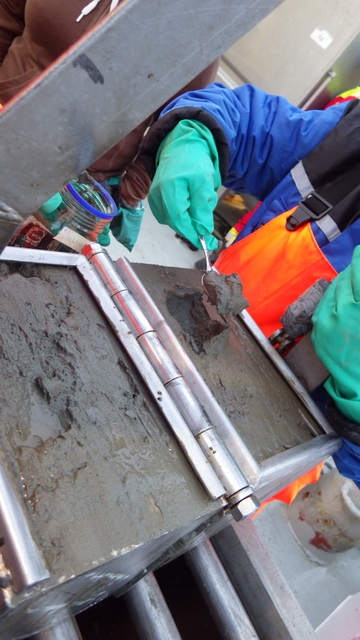 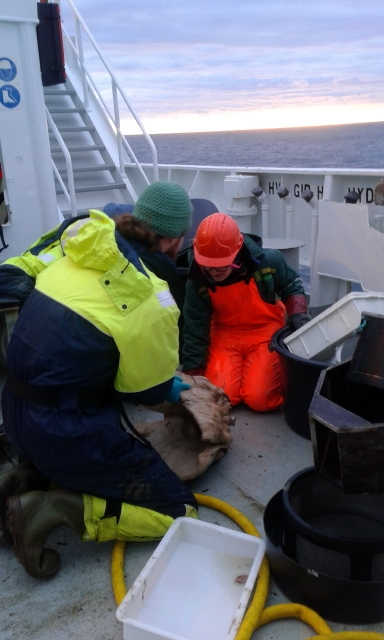 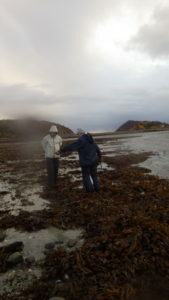 Four Norwegian Species Initiative funded projects were participating, collecting material for their projects – as were people from the EU-project SponGES. 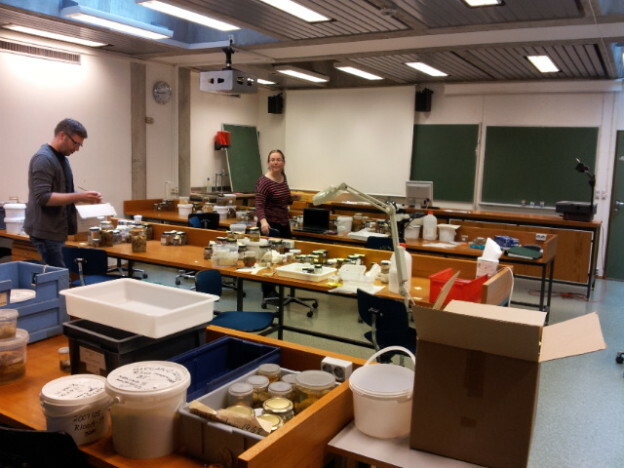 We are working on the material now, and some of it is scheduled to make an apperance on the blog over the next couple of weeks – so stay tuned! 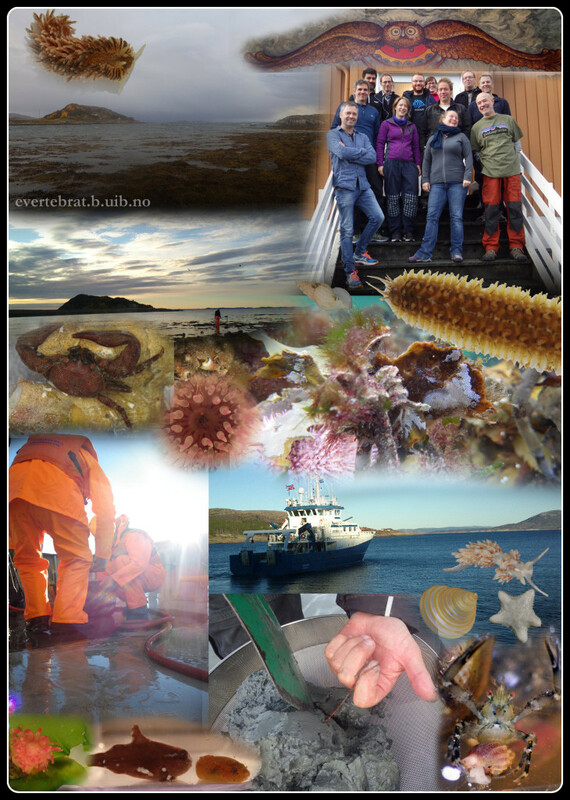 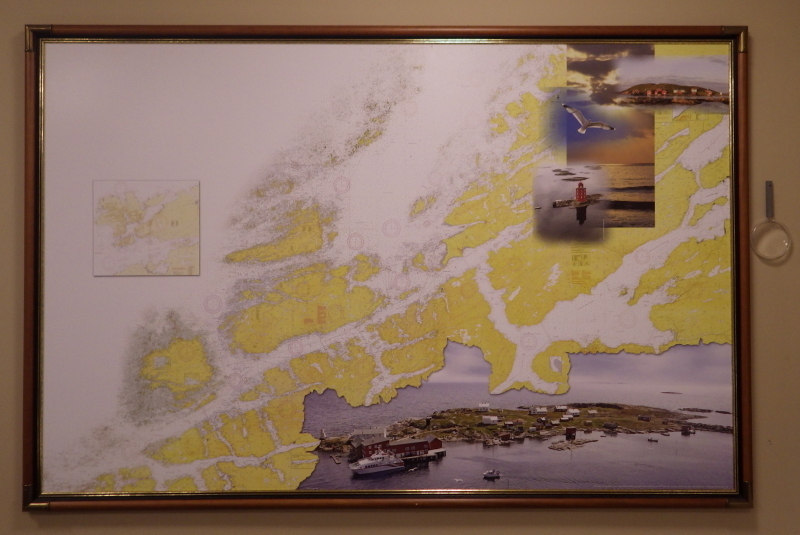 This entry was posted in 2016 december calendar, Current projects, Field work, NorBOL, Photography, PolyNor on December 3, 2016 by katrine.